Superfly started with a good idea and a passion for fly tying in a small basement hobby-room more than 30 years ago. Today Superfly continues as a family business that has grown into an internationally respected company recognized as a leading manufacturer of fly fishing products. Superfly was established in 1984 by Leo Superstein, a successful businessman, in Edmonton, Alberta, Canada. But it really started out of necessity many years earlier when Leo, an avid fly tyer, wasn’t able to find the materials he was looking for at his local fly shop. He knew that there were other tyers out there who wanted access to a greater selection of product, so his entrepreneurial spirit led him to seek out suppliers from India and China in search of as many new and interesting materials as he could find. At a time before the Internet and even before fax machines, Leo managed to work through the logistics and language barriers and began importing product for himself and his friends. Then he had to figure out how to process everything! He would spend hours stirring pots and perfecting his dye recipes and techniques. He had a great eye for color and quality, and soon his materials were in demand all over the country. He put his friends and family to work packaging product to fill orders and it didn’t take long to outgrow his basement. Superfly was officially born. Growing up around the business, it was a natural for his eldest daughter Janna to get involved — but not before she went out and learned a thing or two about business and marketing. After spending many years in finance, the arts and entertainment, Janna joined Superfly as president in 2000. One of the first things she noticed about the industry was that there weren’t a lot of women involved at that time and there didn’t seem to be a lot of young people either. This was disconcerting as some of her favorite family memories were of times spent on the water with her dad and sister. From the time they were kids, fishing was an activity that the whole family looked forward to sharing. 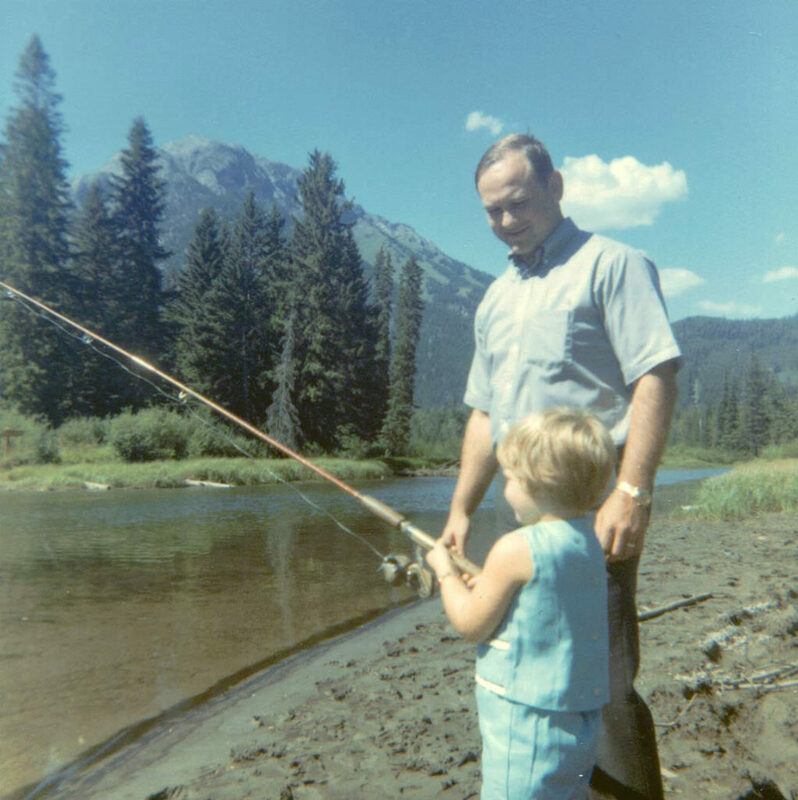 She wasn’t an avid fly fisher, but she understood her dad’s passion for the sport. She wanted to ensure that it would be around for the next generation and the generation after that. Janna took this on as a personal mission and positioned Superfly to be a recruiter for the industry. She broadened the company’s focus and developed the Simply Superfly program, which combines good basic products and education to provide retailers and consumers with everything they need to get into fly. Today, the Superfly brand of fly fishing products includes rods, reels & combos; fly line, leader & tippet; streamside tools & accessories; and premium flies that are available in hundreds of stores across North America and around the world. From its humble start, through the many years of hard work, one thing stays the same at the heart of Superfly: To share the joy of fly fishing. There is a fly fishing renaissance happening today, fueled by greater accessibility, affordable gear, and online learning resources. As a result, the demographics are changing. Fly fishing is becoming more popular in the mainstream. And that’s a good thing. The more people involved in fly fishing, the better chance the fishery will be protected. It’s important for conservation and for the future of the sport. Superfly operates under the banner, “Fly Fishing for Everyone.” The goal is two-fold: Make the sport accessible and inspire as many people as possible to get out on the water. Why? Good things happen when people connect to nature. Superfly Founder Leo Superstein and his daughter, Janna, who now runs the company. 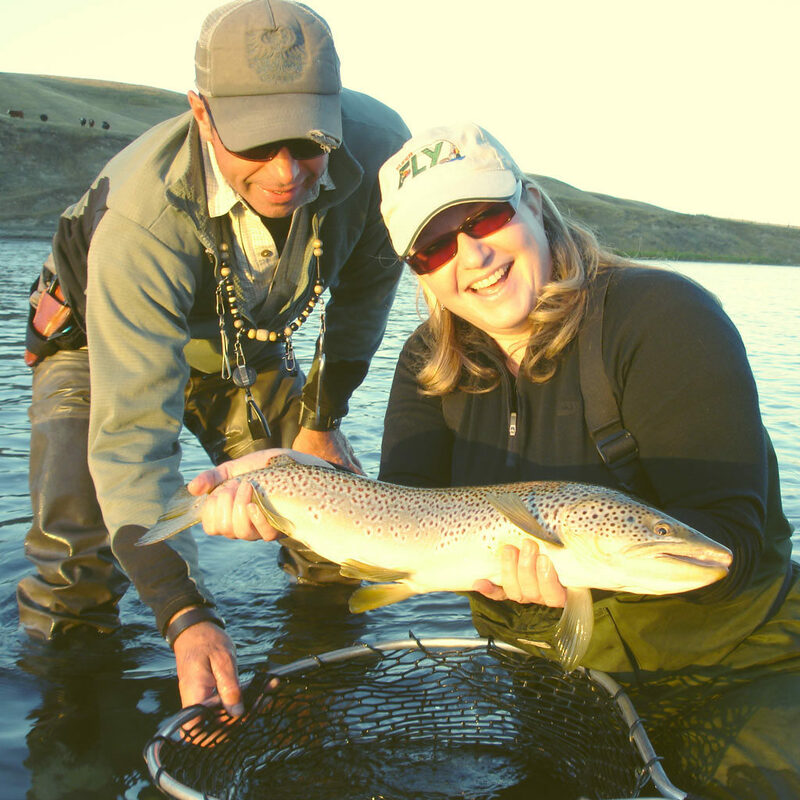 Janna’s first fish on a fly.